Walther Ppk Wood Grips (Checkered With Logo) - Vintage Gun Grips - Reproduction Pistol Grips, Buttplates and Grip Caps. 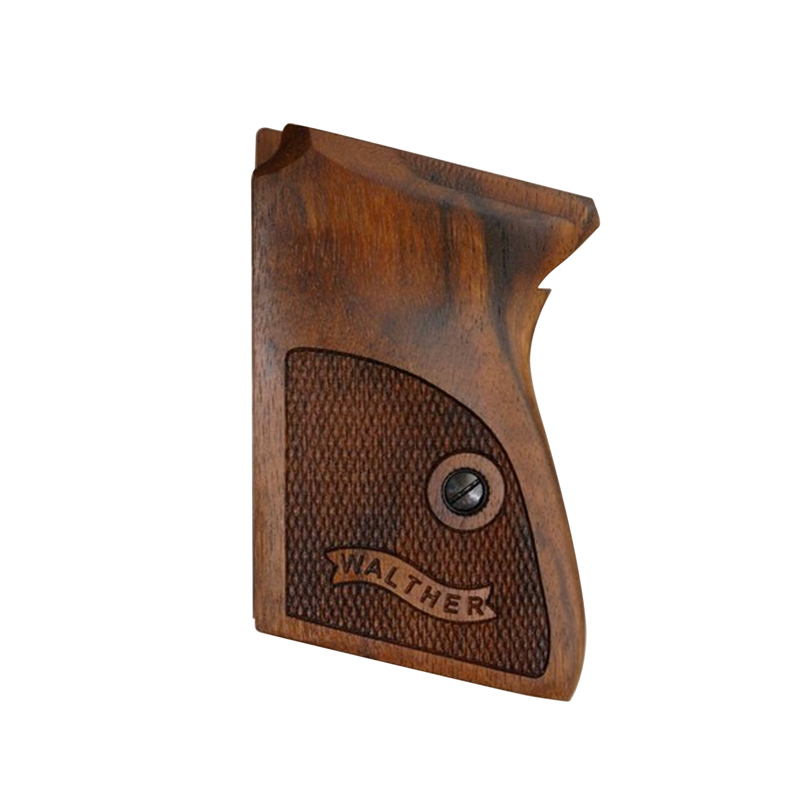 These fine wood grips fit the Walther model PPK made by Walther in Germany and are not for the US made PPK pistols, such as those from S&W or Interarms. Made from English walnut, not stained, with an oil finish. Checkered with the Walther logo engraved. Includes an installed escutcheon and screw.